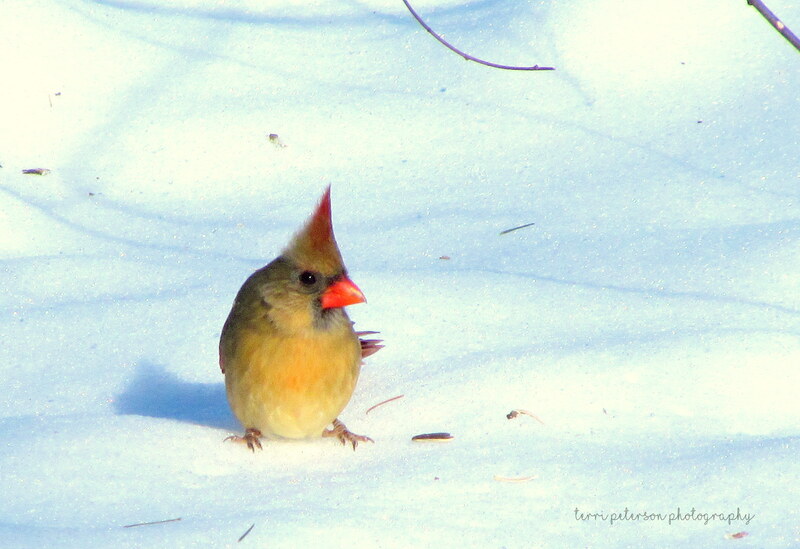 Not too long ago, I read something that, to paraphrase, said, “If male cardinals weren’t so incredibly striking, female cardinals would be considered one of the most beautiful birds in the world.” And I couldn’t help but recognize the truth in that. 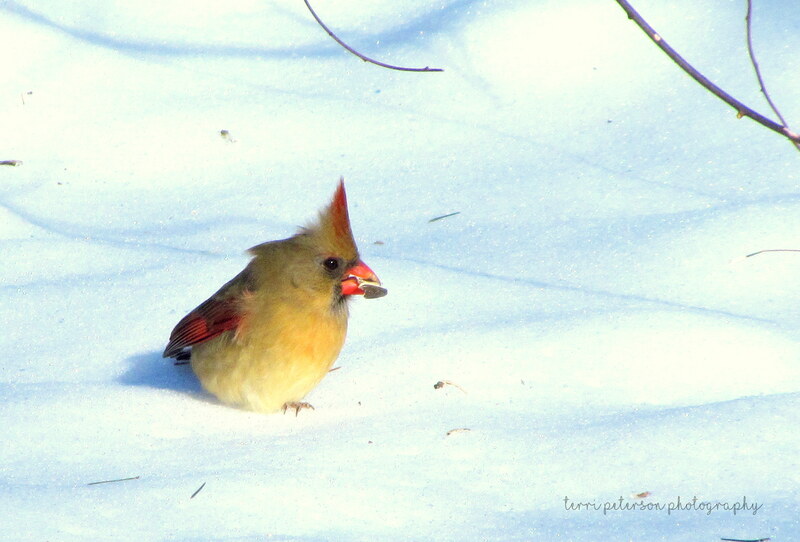 Female cardinals have a creamy gold coat and wings and a head tuft tipped in red. The bright orange of their beaks is more pronounced because it doesn’t get lost inside the bright red feathers that the male has. Male cardinals have a black mask around their face, which makes them look kind of perpetually pissed off. Females don’t have that severe mask, so they don’t have a RBF. And let’s face it–that mohawk will never go out of style. If you note, to the right of Madame in the photo, there is a sunflower seed. Behold! The action photo, as the seed gets demolished in her mighty beak. And behold the splendid red coloring on the wings and tuft. Good lord, she is a beauty. Who thought a back yard bird feeder would be dull? Get one and enjoy!